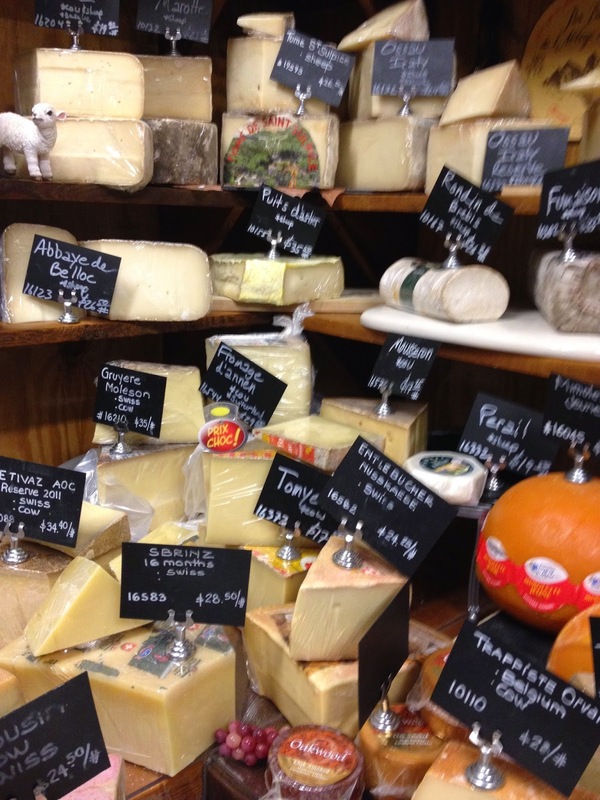 Living in New York City, we’re pretty spoiled when it comes to food. But after a long weekend in San Francisco, it’s clear the hilly city by the bay gives even Brooklyn a run for its money in any DIY/small batch/pop-up/locally-sourced throw down. Add the unfair advantage of year-round great produce, and all of New York City (of the bleak mid-winter farmers market) is really on the ropes. You can barely turn around in the Bay Area without bumping into something good to eat. You walk into a store to get change for San Francisco's annoying parking meters (only about a quarter of them accept credit cards) and it turns out it’s Gourmet and More, home to a pop –up fresh pasta shop spread out in the back patio room. Just the fact that there is a “back patio room” is enough to make me want to live in SF. in the Hayes Valley neighborhood. a pot of boiling water in the back patio! 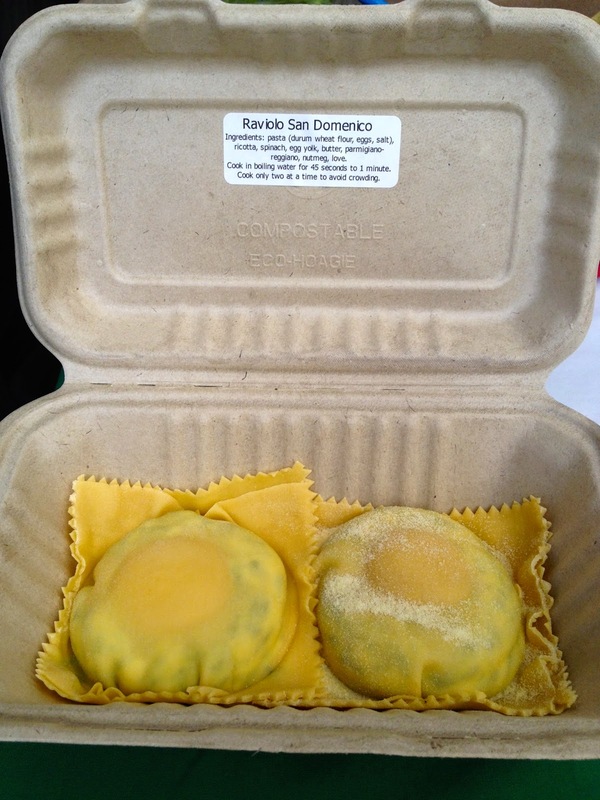 Then the Mattarello pasta people, John Pauley and Anna Li, who learned how to make San Domenico-style uova da raviolo from a Bologna master, tell you you have to walk across the street to taste one of the best cakes in the city, 20th Century Cafe’s Russian honey cake. Hypnotized, we did just that. At that point we felt like we had to get off the street fast or the hand-crafted food would never stop flying at us. 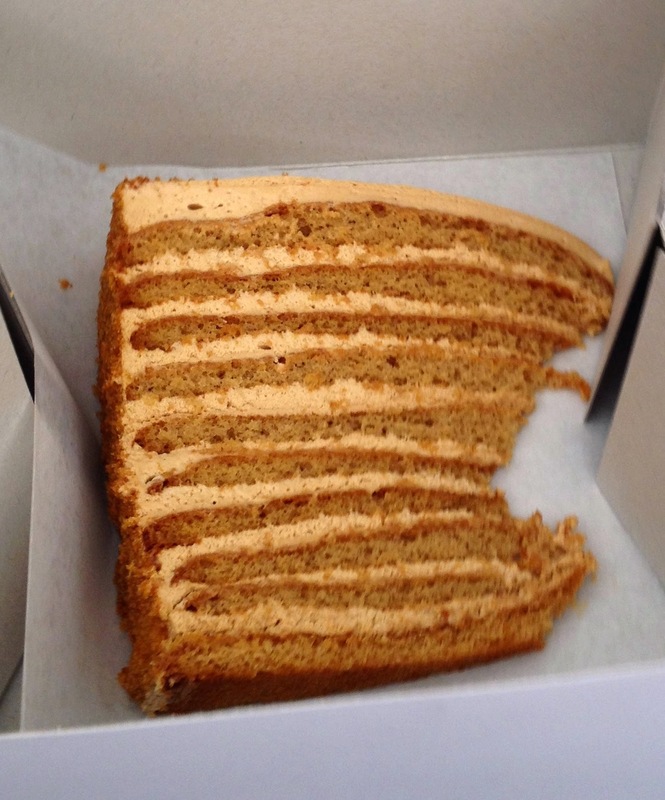 Michelle Polzine's Russian honey cake. So we had much stand-out food and drink of all varieties, but I’ll fill you I on just two more places, since they fall into that most beloved (by me) of categories, Asian American soul food. Since writing this story about that stinky, spicy and delicious category I’ve seen the trend get bigger and more ubiquitous. Technically, though, I don’t think that one of the two places, Pim Techamuanvivit’s Kin Khao, really qualifies, since the proprietress of this self-described “Thai eatery” was born and raised in Bangkok, and her food shows no signs of Americanization. But after tasting the restaurant’s burnt eggplant salad with soy lime dressing, toasted coconut, shallots, mint and cilantro; its elegant green curry with rabbit loin saddle and meatballs, and a gutsy pad kee mao with ground pork, bird’s eye chili, bell peppers and holy basil, we begged Pim to bring her show to New York. I’m saying it again, Pim. Please. Looks like confetti but it's really delicious sashimi. The next night there was no doubt we were in AA soul food territory at chef Robin Song’s Hog and Rocks in the Mission District. You might think the place is a run-of-the-mill, albeit handsome, sports bar until you taste the grub. Excited Giants fans watched their team shut out St. Louis for the first game of the National League’s championship series, so the mood was festive to begin with. We relied on Song’s unerring aim for the spicy-sour-sweet pleasure receptor zone to put us right there alongside the stoked Giants fans, but in a baseball-free way. The first clue that we weren’t in the Double Play Bar and Grill came when a dish of freshly caught Channel Islands yellowtail sashimi showed up accompanied by roasted purple yams and dressed with, among other things, sudachi, the mouth-puckering citrus fruit that originated in Tokushima Prefecture, Japan. Song sprinkles his food with a hiker’s backpack full of interesting fruits, vegetables, herbs, and says his plates are designed to complement bartender and Brooklyn native Michael Lazar’s exciting cocktail list. dressing, on one of Song's hand-thrown plates. The yellowtail, for example was also dressed with yuzu, jalapeno, radish and wild coastal agretti, a bitter/salty accent that served as a bridge connecting the dish with a super-herbacous Coastal Collins. The ultimate locavore cocktail, the Collins is made with Alameda-based St. George Terroir Gin (distilled with an assortment of botanicals gathered from nearby Mt. Tamalpais), lemon, pickled huckleberries and bay laurel. Song does spicy well, too: his salt and pepper wings, which pack a delightfully punishing lime and pepper-laced wallop, found their cocktail counterpart in Lazar’s version of Carter Beats the Devil, the potent mescal, reposado tequila, lime, agave and chili tincture mixture. Besides the menu’s “hogs” (country pork pate, jamon serrano, prosciutto and the tater tots-with-attitude that Song calls “trotter tots”) and “rocks” (oysters including Kusshi from British Columbia and Church Points from Washington), the chef has been experimenting with a weekly Korean pop-up menu that starts after hours on Thursdays. 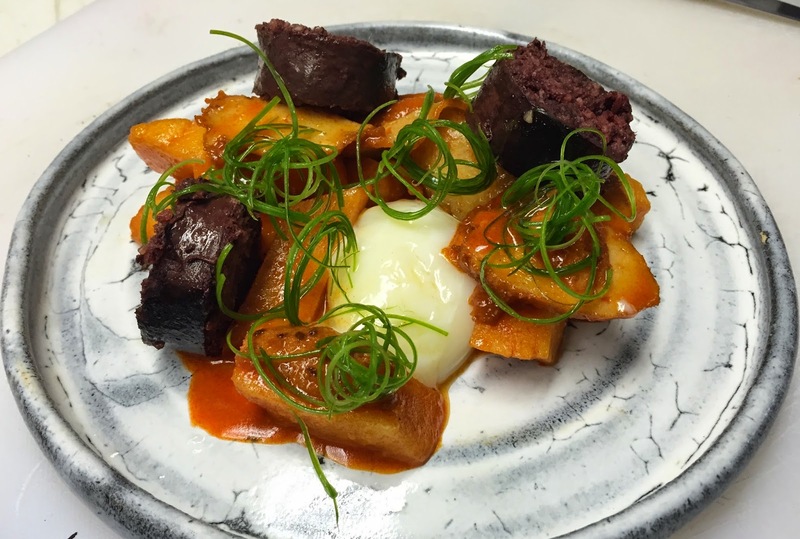 We sampled an array of pickles that he makes for the pop-up, including napa cabbage, beets, anchovies and turnips, and a delicious plate of spicy fried rice cakes, blood sausage and fermented chili topped with a slow-cooked egg. The glutinous rice for the cakes is made with dashi to add extra depth, and the spicy, sweet, sour, sticky and addictive dish possessed all the attributes of Asian American stoner food. A cook who found his path in life after trial runs as a successful drug dealer (until, he says, “I grew a conscience”) and apprentice sound engineer, Song says it was a stint with chef Daniel Patterson’s Plum Bar + Restaurant in Oakland that made him realize he wanted to find a truer expression of himself in food. He also gave up bicycle racing and now throws clay on a pottery wheel instead. Plans are afoot to open a new, two-part Korean establishment: one portion called Junju, an extension of his pop-up serving fast, casual Korean pub fare, and a smaller counter serving Song’s take on Korean barbecue in the form of a tasting menu. My one regret: not making it to Thai American chef James Syhabout's Oakland side of the bay, where his mini-empire of restaurants has doubled in size since my last visit. Next time!